Born in 1978 in Queens, NY, Brian found his love for guitar at the age of 10. Growing up in Red Bank, NJ, Brian became intrigued with the music of guitar heroes like Jimmy Page, Eric Clapton, and Jimi Hendrix. Exploring the roots of these artists as well as many others, Brian discovered a never ending journey both into the history and progression of music. Blues artists such as B.B. King, Robert Johnson, and Buddy Guy made their way into his album collection as well as folk heroes like Bob Dylan, Woody Guthrie and Simon and Garfunkel. The limitless boundaries of music suggested by artists like Jerry Garcia and Trey Anastasio was enough for Bolen to accept music as his form of artistic expression to be shared with everyone. Listen close and hear his influences shine through his unique, signature licks. Currently residing in Deerfield Beach, FL, Brian has been playing professionally for the past ten years. Brian Trew’s musical career began at the age of 11 where he picked up the viola in his middle school orchestra. While in the orchestra, he along with his friends formed an Irish folk group called the Celtic Rogues. With this group, Brian had the opportunity to record three albums, play all over Florida and the United Kingdom, and perform with many great musicians. Along with heavy influences from Celtic groups such as the Cheftians, Altan, and The Clancy Brothers, while growing up in Fort Pierce, Florida he was exposed to a healthy dose of country and southern rock. His Uncle Billy (who hand crafts all of Brian’s fiddles) played every weekend and exposed him to the likes of Charlie Daniels, Gary Stewart, and the Nitty Gritty Dirt band. After finishing high school Brian received a full scholarship to attend Florida Atlantic University for viola performance; he later played both viola and violin for the orchestra and began an interest in world music. 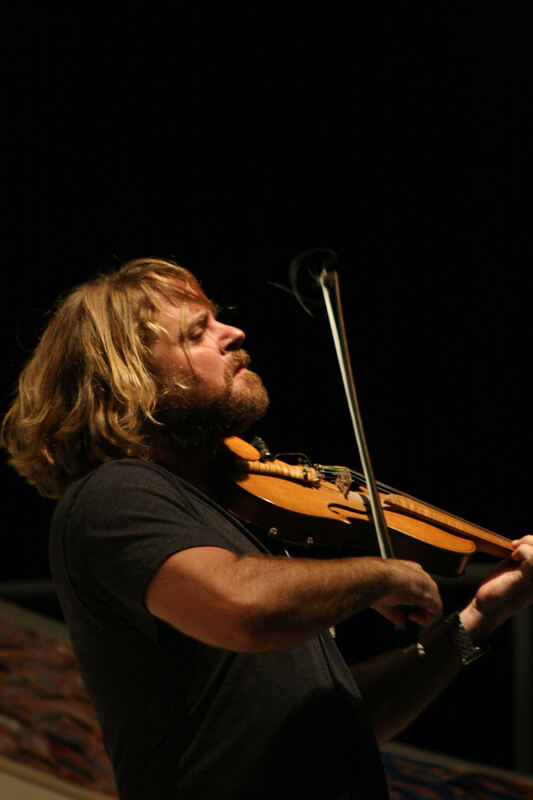 During his junior year at FAU, Brian met Uproot Hootenanny and has played fiddle with the group ever since. His Celtic roots bring a distinct sound to the already unique style of Uproot Hootenanny. Brian plays a five string three-piece back Uncle Billy Fiddle with an L.R. Baggs pick up thru a L.R. Baggs Para D.I. box. He uses Tomastik Dominate strings. He proudly endorses CodaBow and is currently using their Diamond GX model. David was born and raised in southern Maine, moving to Florida in 1993 at the age of 19. He began his journey toward the Hootenanny, Gentleman, Scholar, Lover, and all around nice guy by finding music late in life. He began playing the guitar in 1996, but never seriously until he met Brian Bolen at the tender age of 26. He began to take music a bit more "seriously" at that point, playing in public shortly thereafter. 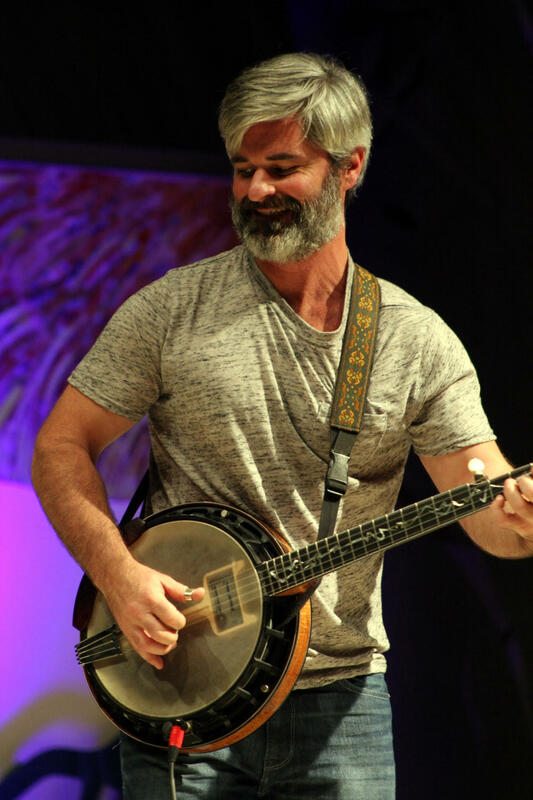 Although his father (recording artist Tom Welch) is renowned for his skills on the banjo, he didn't discover his love for the instrument until the fall of 2004 at a bluegrass festival in North Florida. Buying his first banjo a couple years later, the hard work began. Dave's influences include but are certainly not limited to Tom Welch, Billy Gilmore, Earl Scruggs, William Wallace, Michael Collins, Jerry Garcia, Dylan, Grateful Dead, John Prine, Old time music in general, Bluegrass, ZEPPELIN!!! !, Christy Moore. What is Uproot Hootenanny to David? "It's a group of friends intent on providing a place, and an atmosphere for people to have the time of their life.. music to move, and groove to... Friends making music!" Nico has been playing professionally since he was 15 years old. Although he has played approximately 14 different instruments, Nico is best known as a bassist playing both electric and upright. In high school, he was selected first chair for the All District Band of Palm Beach County, FL, as well as the All State Jazz bassist for Community Colleges while attending Palm Beach State College. Nico's musical versatility has led him to perform in a variety of genres including jazz, show, jam, rock, bluegrass and ska. 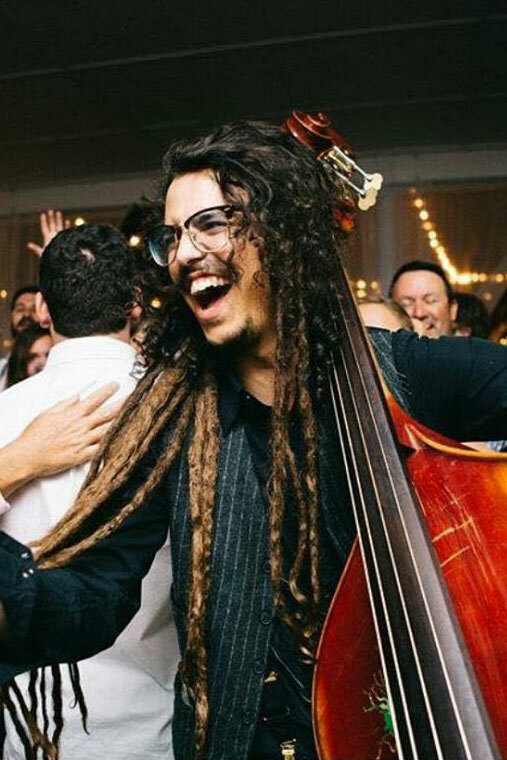 He was a member of South Florida jam band the Funky Nuggets, his original project Gator Wine, and with bluegrass band The Grass is Dead. 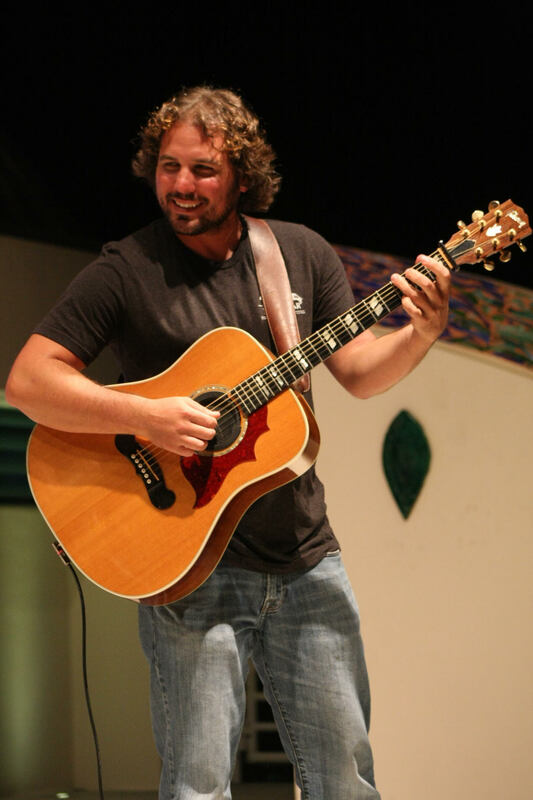 His musical endeavors have led him all over the country and the Caribbean and have given him the opportunity to share the stage with members from bands such as; The Allman Brothers, Umphrey's McGee, Alice Cooper, Cope, The Heavy Pets, Iron Butterfly, Jon Stickley Trio, and LA Express. His incredible passion for music and performing is conveyed in his non stop beaming smile on stage. His constant drive to improve, improvise, and create is the foundation of the future of Uproot Hootenanny.